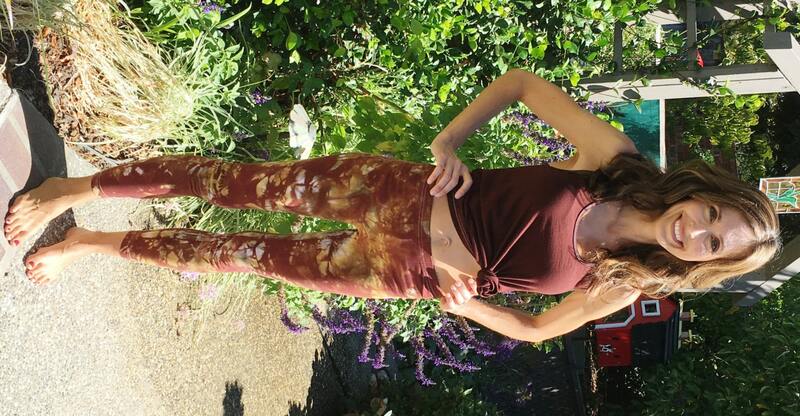 Beautiful earthy shades of brown and amber mix together to create the colors and visual texture on this legging. 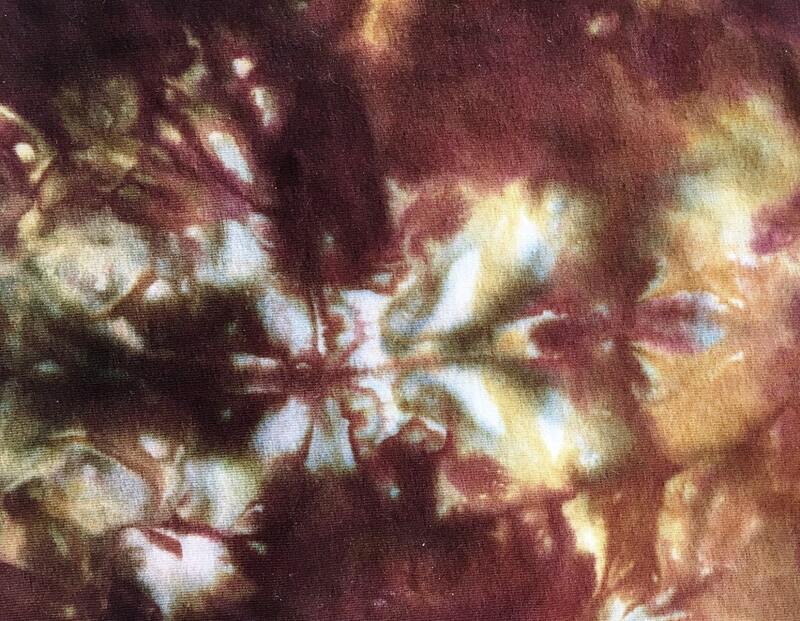 Every item is hand dyed and one of a kind and will have variations in each item. The photographs show the style and color we can achieve but will not exactly match your pants as they will be unique and individual to you. Each pair is lovingly hand dyed to order so please allow approximately five days before your order will be ready to ship. Elastic waistband and fitted at the ankle. Lots of stretch for maximum mobility. XXSmall US 0-2: Waist 22 to 23": Inseam 30"
XSmall US 2-4: Waist: 24" to 27" - Inseam: 30"
Small US 4-6: Waist: 28" to 29" - Inseam: 30"
Medium US 8-10: Waist: 30" to 31" - Inseam: 30"
Large US 12-14: Waist: 32" to 33" - Inseam: 30"
1XL US 14-16: Waist: 34" to 35" - Inseam: 30"
2XL US 18-20: Waist: 36" to 37" - Inseam: 30"
3XL US 22-24: Waist: 38" to 39" - Inseam: 30"
4XL US 26-28: Waist: 40" to 41" - Inseam: 30"
5XL US 30-32: Waist: 42" to 44" - Inseam: 30"
6XL US 34-36: Waist: 45" to 47" - Inseam: 30"
All my items usually ship within 5 business days or less via USPS First Class Mail. If you need something in a hurry, please email me and I'll do my best to make it work for you. It's not a problem to return or exchange items within 30 days of purchase. I ask that they still have the tags attached and have not been worn (other than trying them on). I am a pet lover myself but please remove pet hairs from clothing you are returning or exchanging. Just include a copy of the packing slip along with your item. Return shipping is not covered and shipping charges are non refundable. International orders: Re-shipping postage costs for exchanged items must be paid by buyer. 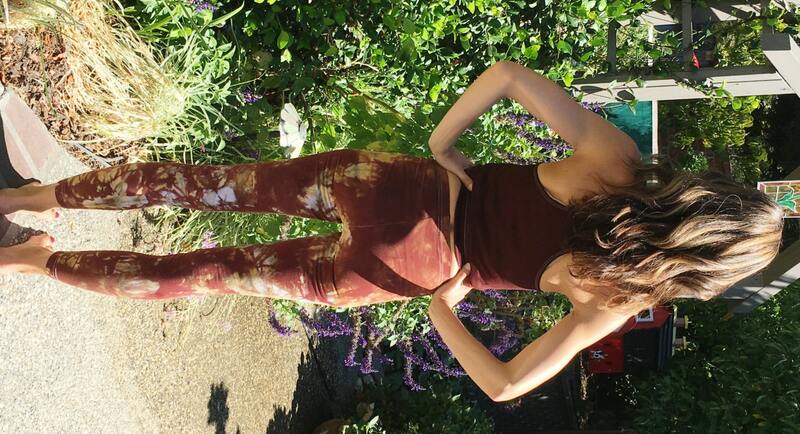 As part of the dyeing process the pants have already been washed and pre-shrunk in hot water. Washing: Wash in cold or warm water with regular detergent. The first time you wash them at home you may see some color bleeding but it should not affect your other clothing. If you are concerned, you can always wash them with like colors the first time. Drying:You can put them in the dryer on regular heat or lay flat to dry.